“I’m glad Spain has stepped forward to defuse this crisis, but I fear a major tragedy if states start refusing to accept rescued migrants as was threatened,” said IOM’s Director General William Lacy Swing. “Keeping the rescued people at sea is not, of itself, going to dissuade other migrants from crossing to Europe and they too will need to be rescued sooner or later,” he added. With the weather worsening and concerns growing for the welfare of the most vulnerable migrants aboard the Aquarius, the Spanish Government has offered to receive the ship, although it will another three to four days sailing to reach port. The Aquarius picked up nearly 630 migrants, including over 120 unaccompanied children and seven pregnant women on Saturday (09/06). 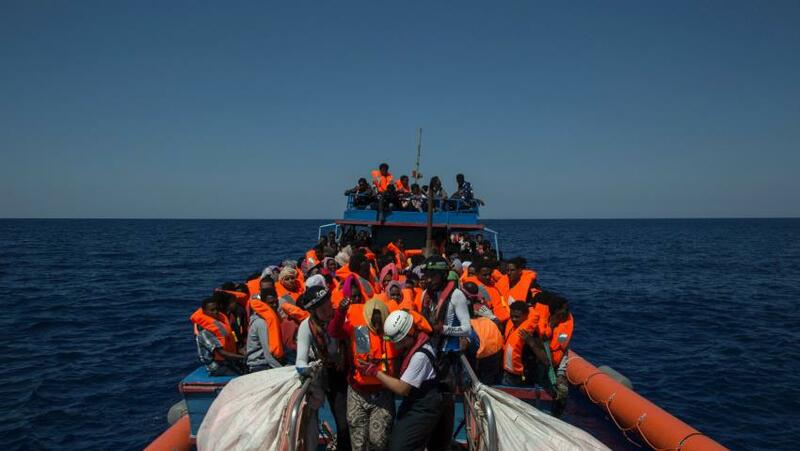 The Doctors Without Borders (MSF) and the SOS Mediterranee operated-ship rescued migrants from rubber vessels and took some others from "Italian navy ships, Italian coast guard ships and merchant vessels”. IOM believes that all EU Member States need to do more to support front-line states and welcomed the Spanish initiative to bring the migrants to safety. “Stopping one boat or more in the Mediterranean Sea is not an answer to Europe’s migration challenges,” Director General Swing said. A comprehensive approach to migration governance is needed, combining opportunities for safe and orderly movement, humane border management and countering migrant smuggling and trafficking." “Saving lives should always be our top concern. We must urgently find a means to help these rescued migrants and work for a comprehensive method of supporting migrants and States throughout Europe,” he said. IOM urges the EU to re-consider a revision of the Dublin regulation based on the European Parliament’s proposal, and to reach agreement in Council to ensure solidarity among member states fully respecting the provisions of the Treaties.